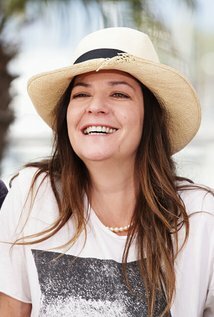 Back in 2011, Lynne Ramsay released her film We need to talk about Kevin. A haunting adaptation of Lionel Shriver’s brilliant yet disturbing novel, it tells the story of a Eva (Tilda Swinton) a mother whose son Kevin (Ezra Miller) commits a high school massacre. It examines a very taboo subject, that of a mother whose struggles with her love for her son with whom she had a difficult relationship with since his birth and whose deadly act forced Eva to confront this very subject. The film picked up a total of zero Oscar nominations. Much has been said and written about inequality in Hollywood and the Academy’s failure to award female filmmakers (only one woman has ever won the ‘Best Director’ Oscar, while Mudbound’s Rachel Morrison was the first woman ever to be nominated for ‘Best Cinematography’), but the Academy aren’t the problem – they’re merely highlighting it. How, I ask you, can they nominate female filmmakers when women aren’t being given the same chances as men to make films in the first place? Hopefully, we’re seeing a long overdue change to things with the brilliant Frances McDormand utilising her acceptance speech last Sunday to highlight what needs to happen. Yet in the case of We Need to Talk About Kevin, they did make, in this writer’s opinion, something of an oversight. Film is subjective and Oscar voters clearly felt that other films were more worthy of the nominations. They’re entitled to their opinion, which is what an award ultimately is – a subjective compliment – and they don’t get it as spectacularly wrong as people would have you believe. Check out the last 25 ‘Best Picture’ winners – there are some fantastic films in there. In my subjective opinion, of course. Yet with We Need to Talk About Kevin, it’s very hard to see how anyone could argue that it didn’t deserve recognition for both Swinton and Ramsay and Rory Kinnear’s screenplay, at the very least. The novel is a series of letters written by Eva to her estranged husband Franklin (played by the ever watchable John C. Reilly in the film). Told entirely from Eva’s point of view, it’s not necessarily a reliable narrative of events but then that is the point. Shriver states that the novel underlines her reasons for never wanting to have children. We all hope our children will go on to great things but what about the parents of individuals who do unspeakable evil? How do you live with that? Shriver’s novel was an incredible harrowing and disturbing piece that, I felt, would be very tough to turn into a film. Yet Ramsay managed to do it. A female filmmaker was perhaps the only person who really could tackle a film so prominently about a mother’s love (or lack of it). She approached it with spot on casting, enabling many of the emotions within the book (and boy are there many) to flow through the performances while having Eva central to every scene. Is what we’re seeing accurate? Is Kevin actually so different with Franklin compared to Eva? Given the climax, it seems unlikely. The script, along with Ramsay’s understated direction create the feeling of unreliability and ensures the audience questions what we’re seeing and whether it was nature or nurture that created the monster that Kevin undeniably became. It never resorts to melodrama or heavy-handed story-telling that tells you what to think. Ramsay is too good a writer-director for that, and it’s hard to think of anyone who would have done such a skilled job of a very difficult adaptation. 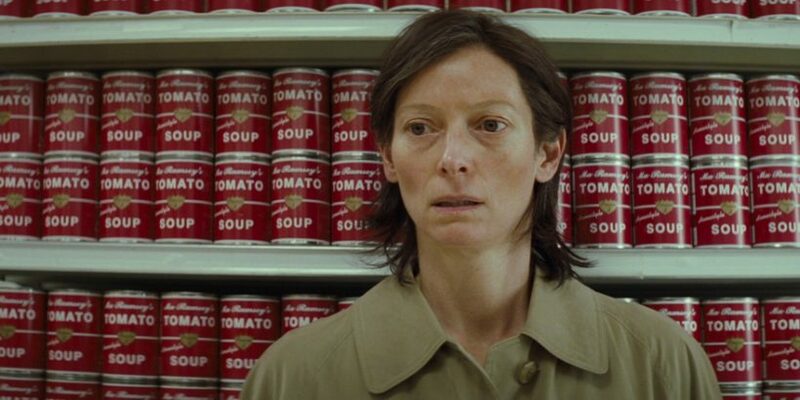 As Swinton once said, Ramsay makes the sort of films that ‘just would not be there is she didn’t make them’. The very final scene in which Eva hugs her son shows Swinton demonstrating both fighting the love for her son that she holds and yet equally allowing it to seep through. It beautifully encapsulates the novels final paragraph without a word being spoken. We Need to Talk About Kevin perhaps doesn’t investigate mental health per se, but both Shriver’s book and Ramsay’s film are stark reminders of why society must address such issues, and both should be applauded for their quality and social relevance. Oscars or not.